The month of November took me by surprise – I left Paris last minute for an interview in New York City (cross your fingers for me). I was in New York for a few days with good friends, before flying back to Minnesota to spend a little time with my family and celebrate the holidays early, since I am in Europe for the real deal! Flying into a snow covered area is beautiful, but stepping outside and feeling your lungs burst from the cold made me question, once again, how I survived so many Minnesota winters. On a warmer note, my mom had soup on the stove and new slippers waiting next to my bed… Pig slippers, to be precise. One of my favorite holiday treats is and always has been lefse, a traditional Norwegian dessert we eat at Thanksgiving and Christmas time in my house. Although I’ve eaten it since I can remember, I never learned how to make it. So, with my mom, brother, and sister we went down to Northfield to learn how to make lefse from Grandma. It was better than ever eating it hot off the griddle. Now, I just hope I can successfully make it again (after all, cooking isn’t my strongest skill). My dad made all of my Thanksgiving favorites for an early Thanksgiving dinner. I baked pumpkin roll with my mom, but forgot to add the baking soda one time and flour another – like I said cooking/baking isn’t my strongest asset – but eventually it all worked out. 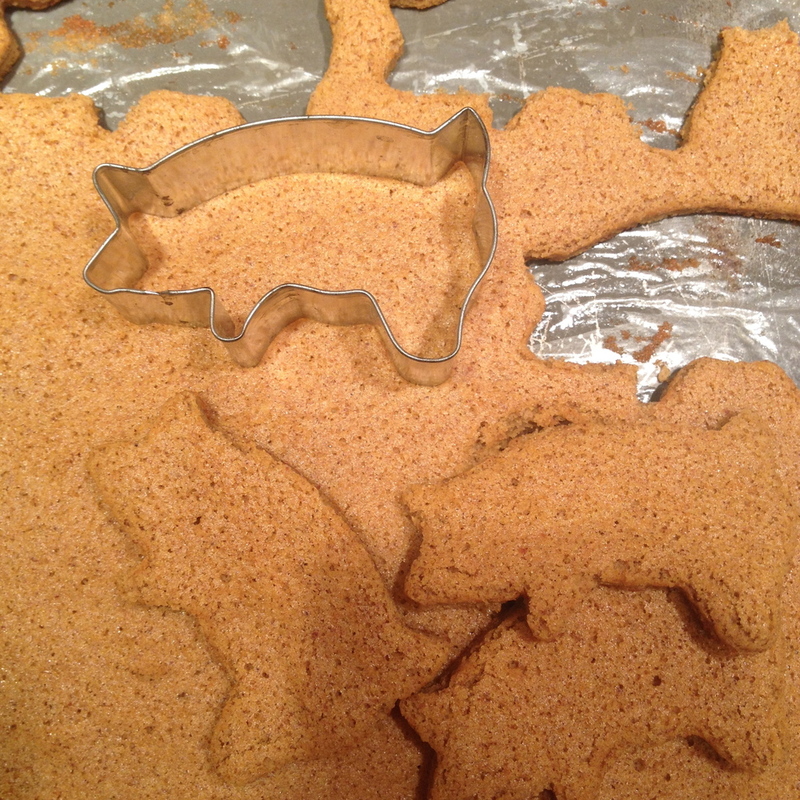 I made pumpkin pigs with the batch I forgot to add baking soda to, they were a little flat, but tasted good as ever! There’s never enough time to see everyone, but there’s always the next time I pass through… Until next time Minnesota!